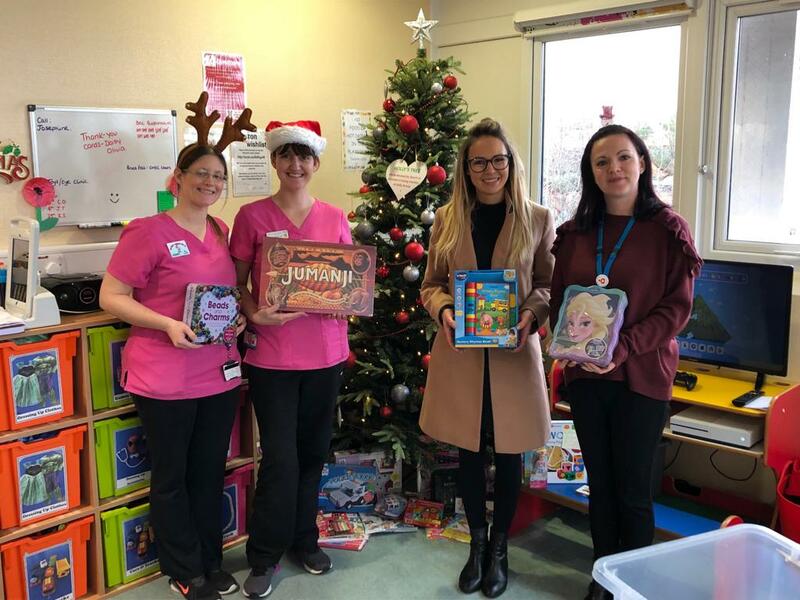 Staff from Owen Kenny donated 3 boxes of brand new toys and books for patients (aged from newborn to teenagers) who will be in hospital over the Christmas period. Our colleague, Lindsey Balchin, co-ordinated this at Owen Kenny and arranged to take them to the ward today – thank you Lindsey! Nurses will wrap up the gifts so children have a special surprise on Christmas Day!